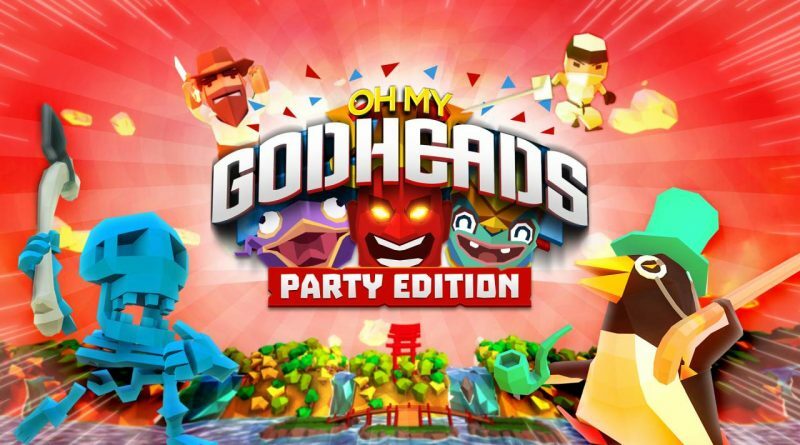 Square Enix Collective today announced that Oh My Godheads: Party Edition is coming to Nintendo Switch on September 25, 2018 with a 15% discount for the first two weeks (normal price £11.99/$14.99/€14.99). Fancy taking on your friends on that rather dodgy looking sofa-bed in your mate’s garage? Done. Want to give your gran a taste of frenzied ‘capture-the-head’ action on her 1970’s settee? You’re all set. Up for a slice of multiplayer madness with complete strangers on the bus, on a plane, in or the waiting room at your never-on-time dentist? Oh My Godheads’ brand new Party Edition on Nintendo Switch has you sorted.